Here’s another very easy recipe for those days when you look at the packet of boneless, skinless chicken pieces in your fridge and have no idea what to do with them. 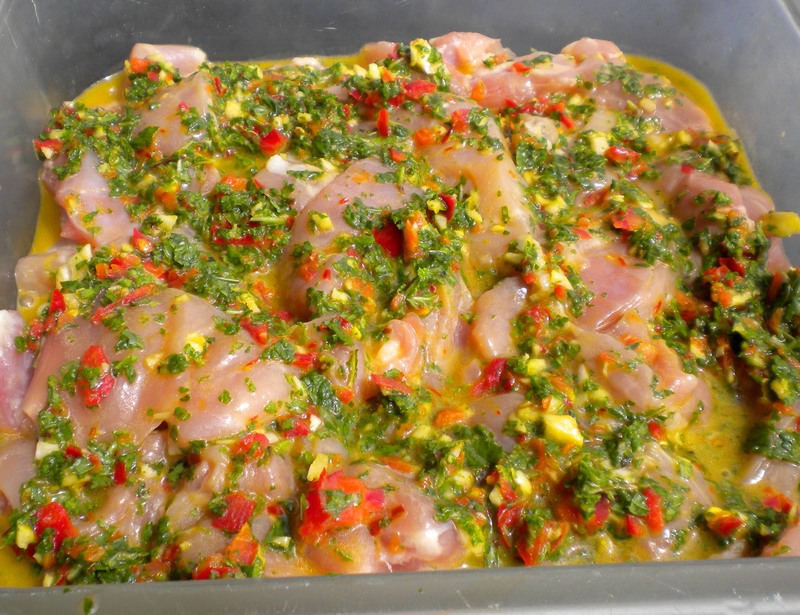 The marinade creates some welcome heat and spice on a blustery spring day; fiery, fragrant and citrusy, the zingy combination of fresh mint, lemon, chili and saffron will have you believing that winter is behind us. Serve this with wedges of lemon to squeeze over and perhaps some buttery couscous, spiked with dried fruits and cilantro (coriander leaf) – or just wrap each piece in a soft lettuce leaf and call it finger-food. Cut the chicken into finger-sized strips and put them in a glass or china bowl. In a food processor, pulse the fresh and dried chilies, garlic, saffron, olive oil, the mint and lemon juice, until you have a colorful mess. Pour the whole lot over the chicken, toss gently, cover and chill from 30 minutes to overnight. Heat up your BBQ grill or a heavy, ridge based grill pan. Once hot, add the chicken strips including any marinade sticking to them and cook for 3-4 minutes each side until golden brown in patches and cooked through. 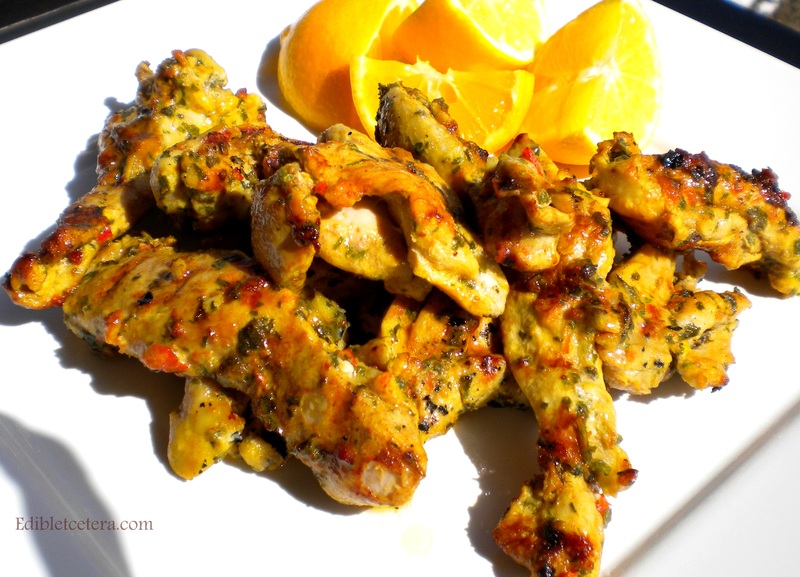 Be careful not to overheat and burn the marinade – the result should be sticky and golden. To serve: season with sea salt to taste and offer some lemon wedges to squeeze over. This entry was posted in Indian & Asian Cuisine, Poultry. Bookmark the permalink. Ok, I will definitely make this, BUT I will use Iranian saffron. Thanks Jackie! This looks good too , I think your a cooking genius , wish I was the same I would be cooking up a storm!